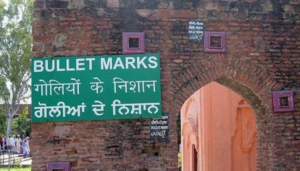 This 13th April 1919 marks the centenary of the Jallianwala Bagh massacre in Amritsar. Thousands of peaceful protestors were gunned down following orders by Brigadier General Reginald Dyer, many unaware martial law had been imposed and came to Amritsar to celebrate Vaisakhi. The officially declared death toll was 379 civilians which included men, women and children and over a thousand were injured. 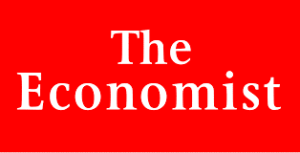 Evidence given by the NSO to the Home Affairs Committee on the APPG on British Muslims proposed definition of ‘Islamophobia’ has been cited in an article in the Economist last month. The article discusses aspects of our submission (along with that of the National Secular Society (NSS)) which we expect to follow up with oral evidence later this year. We have previously expressed our concern about the vague term ‘Islamophobia’ and the risks it poses to free and open discussion in a submission to the APPG on British Muslims. Last week Lord Singh the 86-year old peer who has positioned himself successfully in the wider public and the government as the only voice of the Sikh community for almost the last 40 years..
Why the ageist reference? According to Sikh teachings, it is not age, but ability and commitment that count. Referring to ‘the 86-year-old peer’ is better than a previous SFUK description ‘a dinosaur’. What is it about the SFUK and references to age? The SFUK in its different forms has been around for nearly 40 years. Why is it that this one individual has done more to promote an understanding of Sikh teachings in the government and wider public than the whole of SFUK put together? Lord Singh has also been overshadowed in Parliament for the last 18 months by the energetic Preet Kaur Gill, the first Sikh woman MP who became a shadow Minister within months of being elected and Tanmanjeet Singh Dhesi, the first turban wearing Sikh MP. Lord Singh is no longer the only Sikh politician that government, fellow Parliamentarians and the media turn to. This childish ‘you’re not the only one,’ is simply school playground jealousy. The more Sikh MPs, the better. However, what Lord Singh failed to disclose in the debate is he is the one and only life-time Director of the NSO. It now emerges he may not have declared this for the last seven years in the Register of Lords’ Interests, since he became a Lord in October 2011. I am not a lifetime director. All power lies with the elected Executive. They can sack me any time. It is an honorary post for which I do not receive a penny. In last month’s AGM, I specifically requested a diminution in my responsibilities. Our website will confirm that membership of the NSO requires a commitment to live and propagate Sikh teachings. I believe, that as the first turban wearing Sikh in Parliament, this commitment is seen whenever I stand up to speak. It is appreciation of this commitment to uplifting Sikh teachings that enabled me to get cross-part support for the Amendment. Why I stated in the debate that the government should consult with myself and the NSO in discussing any reservations about the amendment. It was I who raised the issue at Second Reading. It was I who subsequently requested a meeting with the Minister, Baroness Williams and her advisers. It was I who had discussions with Lord Kennedy and Lord Paddick. At the conclusion of my meeting with Baroness Williams it was agreed that they would come back to me. Instead of doing this as courtesy requires, they, ‘in the innocent belief that they are all the same’, then spoke to the SFUK who were naturally unable to respond to the points raised. But for them speaking to the wrong people, the Amendment would have received unanimous approval at Grand Committee. The Government have already apologised for this. I mentioned this because it is true. If it were not true, SFUK would not have lost power in gurdwaras in Leicester, Southampton and their former stronghold in Wolverhampton. I said the APPG for Sikhs and SFUK were one and the same, because this is true. The Chair is a SFUK sympathiser who appointed them to be its secretariat. There is only one other Sikh member. Four Sikhs in the House of Lords were excluded from its inaugural meeting. Legitimate criticism of the behaviour of a minority of Muslims i.e. sexual grooming gang cases like in Rotherham, Rochdale, Oxford and Telford. Legitimate criticism of aspects of Islamic doctrine, like the sanctioning of death for apostates (ex-Muslims) for leaving Islam, reference to non-Muslims as kaffirs (a derogatory term), and persecution of homosexuals and minority Muslim sects like the Ahmadiyya. Legitimate criticism of the treatment of minority faiths in Muslim majority countries like Pakistan and Afghanistan. In the latter non-Muslims (like Hindus and Sikhs) are known to pay the jizya (tax of humiliation), and Christians often face blasphemy charges in Pakistan like the cause célèbre Asia Bibi. There are also reports of forced marriage and conversion of Hindu girls in Pakistan and persecution of Ahmadiyya. Free discussion about historical facts, like the beheading of the 9th Guru of Sikhism – Tegh Bahadur who was executed by Mughal authorities when he stood up for the freedom of religion of Hindu priests, who were being forcefully converted to Islam. *the above isn’t an exhaustive list, but just a few areas as means of illustration. We note the National Secular Society (NSS) have stated, ‘accusations of ‘Islamophobia’ are often used to silence debate about (and within) Islam,’[v] and ‘the word ‘Islamophobia’ has entered common usage, but it conflates legitimate criticism of Islam, or Islamic practices, with anti-Muslim prejudice, bigotry and hatred’. [vi] This view is entirely consistent with our position. Conflating race and religion is extremely problematic. There are of course occasions where race motivates hate crime against Muslims, or the ‘Muslim looking other’. An example of this would be the throwing of a pig’s head in the drive of former government minister Parmjit Singh Dhanda’s in 2010. Although a Sikh, he does not wear a turban nor have a beard. His detractors must have assumed he was Muslim due to his ethnicity. However, in other cases, it is more the conflation of religious symbols, like the Sikh turban (dastaar) and beard with the appearance of extremists like Bin Laden, the Taliban (or ISIS), which makes Sikhs and other non-Muslims susceptible to ‘Islamophobia’. [viii] This vulnerability – due to a visibility in the public space, is no different to that of Muslim women in hijabs, and orthodox Jews in skullcaps. Dr Jhutti-Johal an academic from the University of Birmingham has provided further examples of hate crime against Sikhs in a submission to an inquiry by The Youth Select Committee in 2016. [ix] Notably, white hipsters with beards have been confused with ISIS, and this is more to do with their hirsute countenance, rather than a prejudice born from, or ‘rooted in racism’. Furthermore, by framing ‘Islamophobia’ as ‘racism’, the definition miserably fails to encompass prejudice suffered by white converts, or European Muslims, like Bosniaks, Kosovars and Albanians. Whilst our evidence, like that of Southall Black Sisters (SBS) and the NSS was accepted by the inquiry conducted by the APPG on British Muslims, not all was agreed in the definition. It was selectively used by the authors of Islamophobia Defined. [x] On aspects of SBS’s evidence, the report’s authors dismissively say it, ‘appears highly misguided’. [xi] We take the view this doesn’t reflect a standard of impartiality. As Baroness Falkner rightly states, ‘Islamophobia’ also includes prejudice within Muslim communities against one another for being ‘insufficiently Muslim’. There is no mention of this aspect in the APPG report Islamophobia Defined, despite the definition referring to ‘expressions of Muslimness’. It is not clear if persecuted groups like Ahmadiyyas gave evidence to the APPG, or if their view has been given any consideration at all. The sectarian murders of Asad Shah, an Ahmadiyya Muslim shopkeeper in Glasgow, and Jalal Uddin, a 71-year-old imam in Rochdale demonstrate policy makers cannot simply ignore this issue. Framing a similar argument to Baroness Falkner is Britain’s counter-extremism czar, Sara Khan. In an opinion editorial she describes, ‘increasing anti-Muslim hatred’ that she receives ‘from fellow Muslims’. ‘It is contradictory and unjust to recognise non-Muslim perpetrators yet ignore Muslims who engage in active hostility, abuse, hatred and discrimination against other Muslims’, argues Ms Khan. We believe this is an area which requires much more focus and we must acknowledge all bigotry, from wherever it comes, in equal terms. One of the victims of a Rotherham grooming gang argues that ‘non-Muslim hate’ or hate against ‘those with a perceived lack of Muslimness’ should be taken just as seriously as discrimination against Muslims. ‘As grooming victims, my friends and I were called vile racist names such as “white trash” and “kaffir girl” as we were raped. Our Sikh and Hindu friends who were also targeted by Muslim Pakistani gangs were disparagingly called “kaffir slags” too.’ The APPG’s Islamophobia Defined report makes four references to grooming gangs. But it makes no effort to examine the motivations of the perpetrators. Instead, it suggests that discussion of grooming gangs could be ‘Islamophobic’. The government has a duty to take all forms of hatred as seriously as one another and we welcome the committee’s thoughts on this point. We request the committee gives our concerns due consideration. We believe the proposed definition is flawed and will have serious implications on free and open discussion about matters of significant public interest. It has the potential to act as a shield for extremists who want to shut down criticism of Islam or the behaviour of a minority of Muslims. [viii] Sikhs have suffered the negative reverberations of Islamism since 9/11. The first person to be killed in retribution was a Sikh gas station owner in Mesa, Phoenix. In Britain, there was an attempted beheading of a Sikh dentist in Wales in 2015 – a ‘revenge’ attack for Lee Rigby. Reference to Sikhs as ‘Bin Laden’, ‘Taliban’ and ‘ISIS’ are a normal occurrence – both Sikh men and women have suffered. Despite being one of the most ‘visible’ minority groups in Britain, eighteen years on from 9/11 we are still not viewed as a priority group by the government. 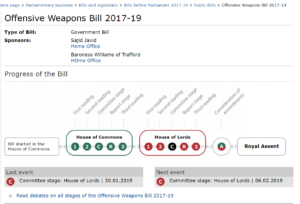 Our Director Lord Singh intervened in a debate on the second reading of the Offensive Weapons Bill earlier this week to ensure the Sikh practice of honouring people with full-length kirpans is fully protected under law. 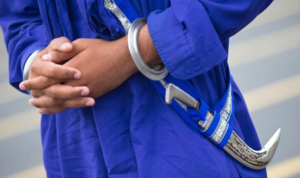 As it stands, the draft Bill retains the existing legal protection for the religious use of a kirpan, however ‘honourary’ kirpans – given to dignitaries (not just Sikhs) as an appreciation of service, would fall outside the proposed legislation and be criminalised. 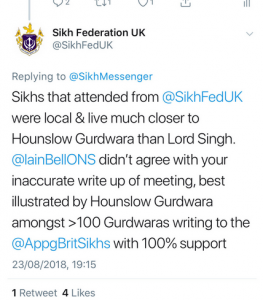 This concern was not addressed in either the Commons debate or in the minor wording change in the ‘photo op’ meeting of the Sikh Federation UK (SFUK) with government officials. He added: ‘The recipients of this honour do not have to be Sikhs. I have made presentations on behalf of the Sikh community to His Royal Highness Prince Charles, when he joined us as the main guest at a major function at the Royal Albert Hall, and to the late Lord Weatherill, the former Speaker of the House of Commons, for his work with the Sikh community in India and Britain. Years earlier, the Sikh community in Leicester honoured Sir John Templeton, founder of the Templeton Prize, after he awarded me the UK equivalent, for furthering religious understanding. 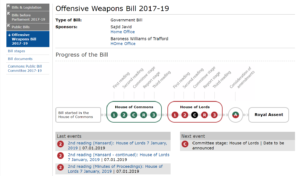 The Offensive Weapons Bill (sponsored by the home secretary Sajid Javid) was published on 20th June 2018 and is now scheduled to go to committee stage in the House of Lords. [i] The Bill covers three types of weapon – acid, knives and offensive weapons, and firearms. 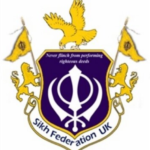 Although SFUK issued a statement on 21st November 2018 describing an amendment to the Bill (coordinated by Preet Gill MP) for ‘larger’ kirpans titled, ‘Kirpan victory: Ministers listen and back Sikh community’, it transpires this so called ‘victory’ was a premature celebration as it didn’t do what was needed, that is, cover ‘honourary’ kirpans. The NSO with support of concerned members of the Sikh Council UK aims to ensure the kirpan is given full protection under law and cross-party peers agree it is necessary. Since 2015 the Network of Sikh Organisations (NSO) has been lobbying to get parity for all faiths when it comes to the government’s existing ‘Abrahamic-centric’ hate crime policy.